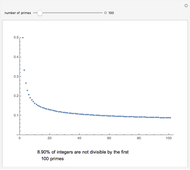 The probability that a prime number does not divide a natural number is . 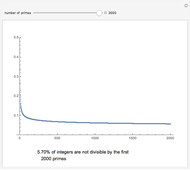 Hence, the probability that a natural number is relatively prime to all primes less than equals . 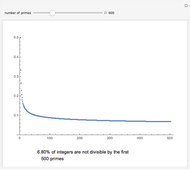 Legendre proved that the large limit of this product is zero, meaning that the probability that a large random integer is a prime approaches zero. 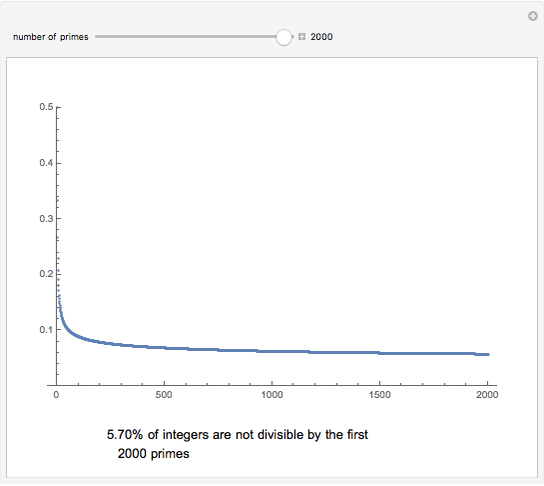 This Demonstration computes the probability that an integer is coprime with each of the first primes. 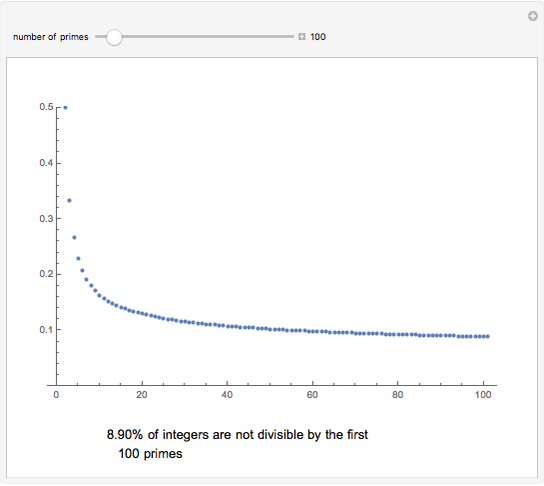 Riemann's zeta function is defined by . Legendre's theorem states that . 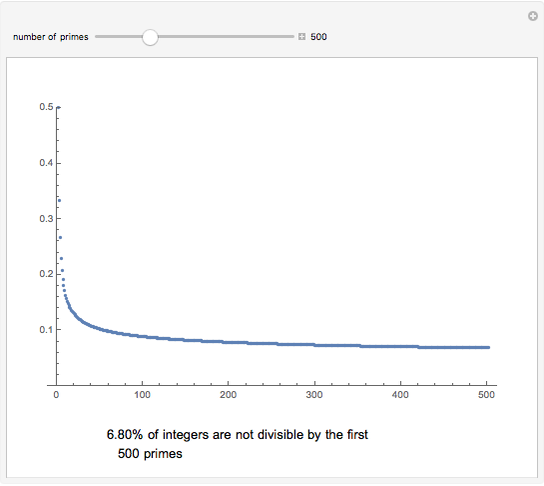 Oleksandr Pavlyk "Integers Relatively Prime to the First n Primes"